Barnes & Noble has announced that it would be releasing a new Nook tablet on November 25th and it will cost $49.99. The tablet, unimaginatively named Nook Tablet 7″ is a simple Android tablet that has been customized with Nook software. The tablet features a 7 inch, 1024 x 600 pixel display,up to 7 hours of battery life, 8GB of built-in storage, and a microSD card slot with support for up to 128GB of removable storage. The 7-inch touch screen makes it also a good portable media player to watch movies on the go. Then you much want to sync your iTunes moives on this new Android tablet for enjoying wherever you go. However, you are only disappointed to find that iTunes M4V meia can’t play on Nook Tablet 7. This guide will show you how to transfer and play purchased iTunes movies on Nook Tablet for free. Well, that’s because purchased iTunes M4V movies are locked by Apple’s FairPlay DRM protection and can’t play on non-Apple products. Of course, Barnes & Noble’s Nook TAblet 7 is no exception. What’s more, Nook Tablet 7 supports MP4, 3GP, WMV, ASF, AVI, FLV, MKV, WEBM videos instead of M4V. So in order to watch iTunes movies on Nook Tablet 7, you need to strip DRM protection from iTunes M4V and convert M4V to Nook Tablet supported format. 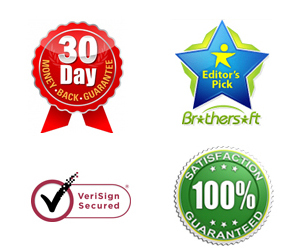 To achieve your task, you can get M4VGO – the best DRM removal and convert software. With this iTunes to Nook Tablet 7 Converter, you can remove iTunes DRM from M4V and convert M4V to MP4 for Nook Tablet 7 in a few mouse clicks. Now download the DRM converter and follow the guide below to perform converting DRM-ed iTunes M4V to DRM-free MP4 for Nook Tablet 7 and other Android smartphones tablets. How to transfer and play iTunes movie to Nook Tablet 7 for playing? The below quick start guide uses the M4VGO Windows screenshots. The way to convert DRMed iTunes movies to Nook TAblet 7 on Mac is almost the same. Just make sure you get the right version according to your computer’s operating system. Run this iTunes to Nook Tablet 7 Convert and click the “Add files” button or drag and drop to add the iTunes movies to the top DRM removal program. 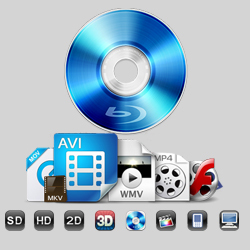 Besides iTunes M4V, you can also use it to convert iTunes M4P, M4B and DRM-ed video/audio files. Now you need to select a format that supports by Nook TAblet 7. 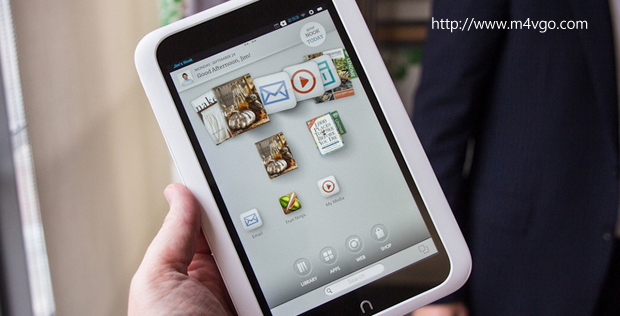 As has been mentioned above, Nook TAblet 7 supports MP, 3GP, WMV video formats. So here you can choose “Common Video” > “MP4 (Lossless)” as the output video format. When everything is set, click the “Convert” button to begin removing DRM from iTunes M4V movies and converting them to Nook Tablet 76 playable file format. When the conversion completes, you can click “Open” to find the converted DRM-free files. Connect your tablet to PC via USB cable and transfer the converted movies to your Nook Tablet 7 with ease. Tht’s all! You can watch iTunes movies on Nook Tablet 7 freely.